Pringles are just as well known for their cylindrical packaging as for their suspiciously addictive fried crisps. Yes, that's crisps—not chips. They do not meet FDA standards for "potato chip" classification since they're only made up of 42 percent potato product. "Potato chips" are technically thin slices of potatoes fried, while Pringles are formed from dehydrated mashed potatoes. That means they're either "potato chips made from dried potatoes" or simply "potato crisps". Unfortunately, these hyperbolic paraboloid shaped crisps shatter easily, so if they were shipped in a bag like normal chips, the end result would be a bag full of crumbs. That's why they come nicely stacked inside a tennis ball shaped container. And now we have our catch-22. 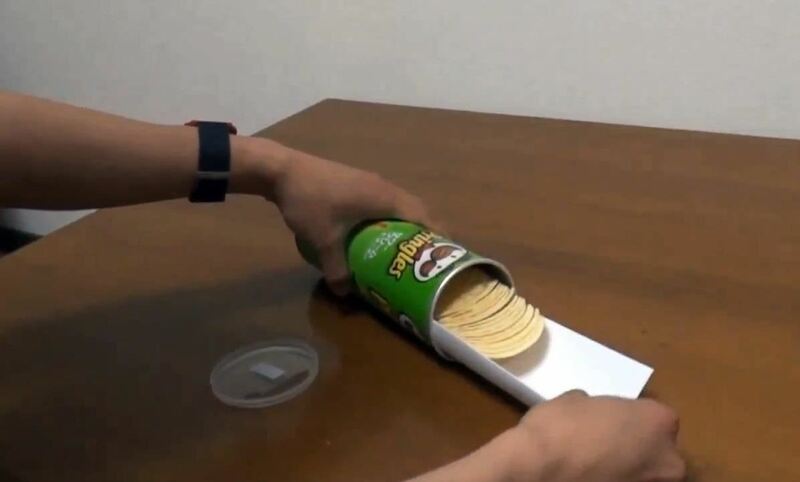 It's a pretty clever hack, but you shouldn't have to take all of your Pringles out just to use it. Plus, if it takes more time for you to make it than it does to watch Braveheart from start to finish, there's something terribly wrong. I've been using this trick for a long time, and so does Anderson Li, who shows you exactly what to do in the video below. Yes, you saw that correctly. 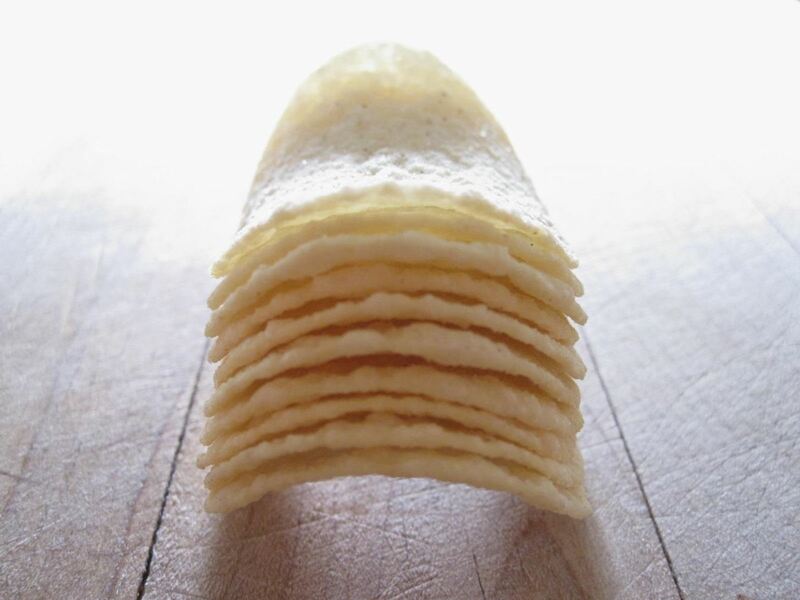 Fold a piece of paper in half and shove it in the can of Pringles, in-between the container wall and the crisps. Then slide the Pringles out and back in at your convenience. It's that simple. 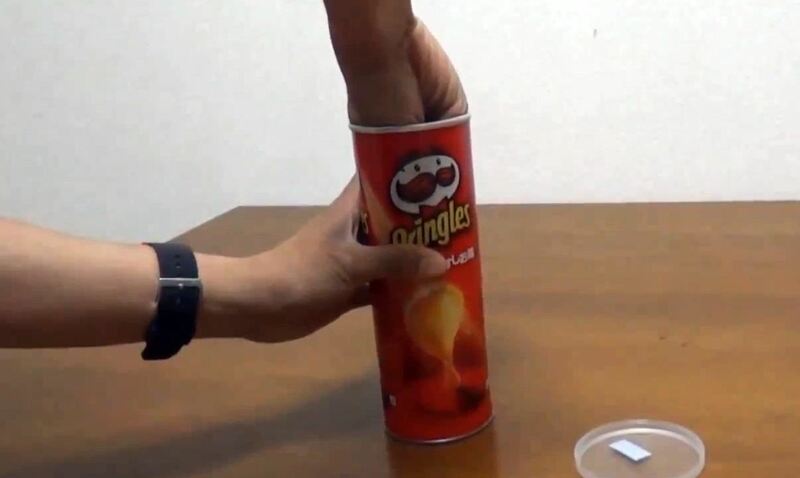 Do you have any Pringles can hacks of your own? Share in the comments! ffs just tilt the can duh! !